DEARBORN, MI - May 4, 2012 -- TechShop, a membership-based, do-it-yourself workshop and fabrication studio, was awarded the 2012 Innovator of the Year award at the recent Dearborn Chamber of Commerce’s annual Business recognition Awards Ceremony & Expo (BRACE). 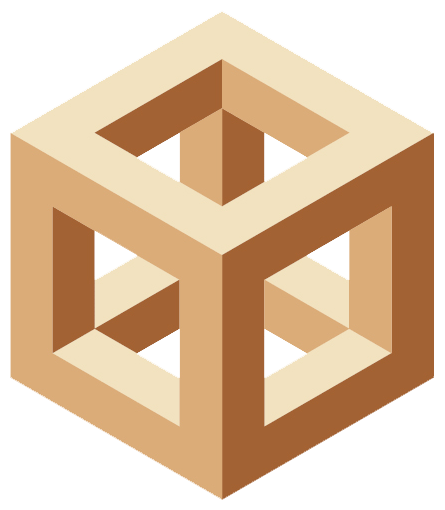 The award recognizes a forward-thinking business model that breaks traditional molds. Nominations came from the community and chamber membership. Past awardees have included The Henry Ford Makers Faire, Hype Athletics and Severstal North America. 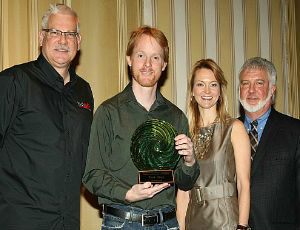 Mark Hatch and Will Brick of TechShop receiving the award from Jennier Giering and Michael Kirk. TechShop Detroit Grand Opening Celebration is May 5 and 6. 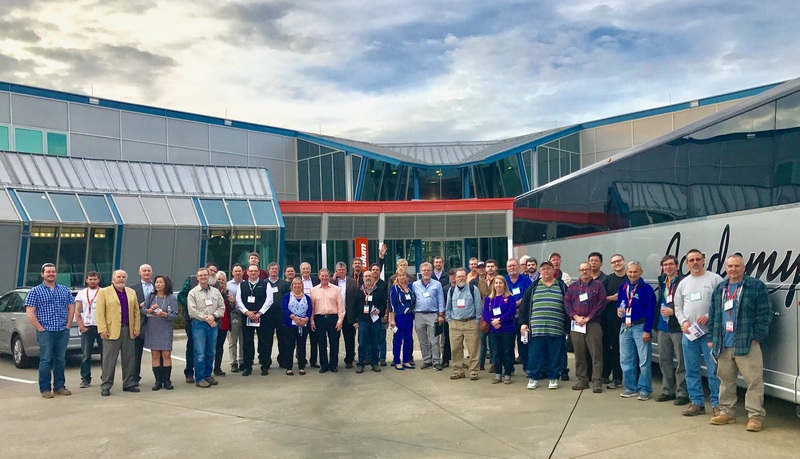 TechShop and Ford executives, along with other key partners like Autodesk, local TechShop members and the Detroit area maker community, will celebrate the newest TechShop location, serving the greater Detroit Metro area at 800 Republic Drive in Allen Park. The event will kick off on Saturday, May 5 with a maker-style door opening at 10:30 AM. The event runs 10AM-6PM both Saturday and Sunday. Over the course of the weekend TechShop will showcase its collection of advanced machines, tools and technologies that enable members to make everything from toys to instruments to vehicles. Tours of the facility will run throughout the day as well as a full program including activities, workshops and panel discussions. Key partners including Ford, Autodesk, The Henry Ford Museum, MAKE, Etsy and more will be represented in projects, demonstrations and displays. Gourmet street faire food will be available in the front parking lot. Final Design Challenge entries for a People Mover device will also be on display for the People’s Choice award where attendees may vote for the best design. See http://techshop.ws/ts_detroit.html for more details. Founded in October 2006, TechShop is a membership-based, do-it-yourself (DIY) workshop and fabrication studio providing access to a vibrant community of creative people and more than $1 million worth of high quality machines, tools and software. TechShop offers classes, workshops, instruction and meet-ups for people of all ages and skill levels. TechShop is based in Menlo Park, Calif., with locations nationwide. For information and course listings, visit http://www.techshop.com, email info@techshop.com or call 855-TECHSHOP. You can follow TechShop on Twitter at "@TechShop." TechShop is also on Facebook as "TechShop Incorporated."